January 2017 Stocks & Screens Now Available! Thank you to all members for helping to support my continued efforts on this site by being premium members. This month’s premium content is now available. Get it here if you’re currently a premium member! Basic Premium Members get access to the Stocks & Screens publication. Inside this monthly PDF report and spreadsheet is a listing of all the companies reviewed by ModernGraham (currently about 600 different companies) in a handy table with some key figures, including dividend yield information. It then proceeds to screen the companies regarding different topics. This is a great tool for your research into value investing opportunities. 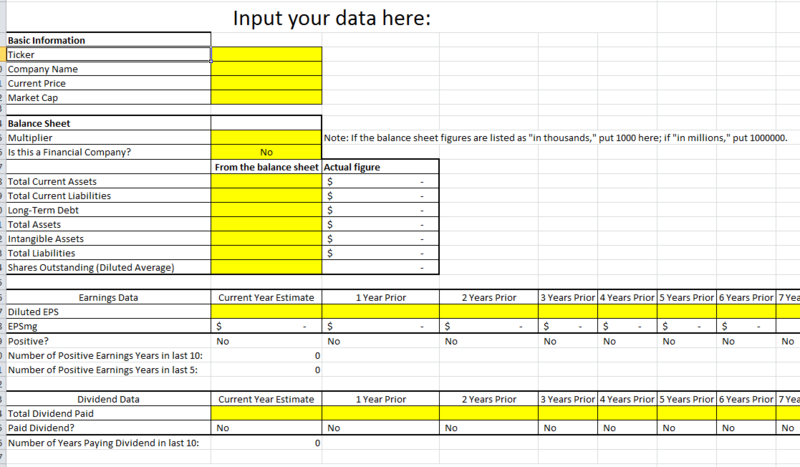 You can also download the raw data in a monthly spreadsheet including each company’s rating regarding Defensive Investors, Enterprising Investors, or Speculative, the MG Value, the price as a percent of the MG Value, the PEmg ratio, the dividend yield, the beta, the current ratio, the Net Current Asset Value, the market-implied growth rate, consecutive years of dividend growth (not yet available for all companies covered), Graham Number (not yet available for all companies covered) and a link to the latest ModernGraham valuation! Advanced Premium Members also get access to our Enhanced Valuation Spreadsheet, which is released weekly. This spreadsheet outlines all of the most recent ModernGraham valuations, provides an overview of the market, gives an opportunity to create a “watch list”, summarizes the latest ModernGraham valuations, and provides a tool for evaluating companies not covered by ModernGraham using the ModernGraham formula. Advanced Premium Members can see the MG Grades for each company as well! If you are already a premium member and would like to become an advanced premium member to gain access to the Enhanced Valuation Spreadsheet, please upgrade your subscription! Please note that you must use Microsoft Excel in order to use the Enhanced Valuation Spreadsheet. Sorry if this causes any inconvenience, but it is necessary for some of the functions to work properly. This page provides a summary of all of the companies reviewed by ModernGraham. 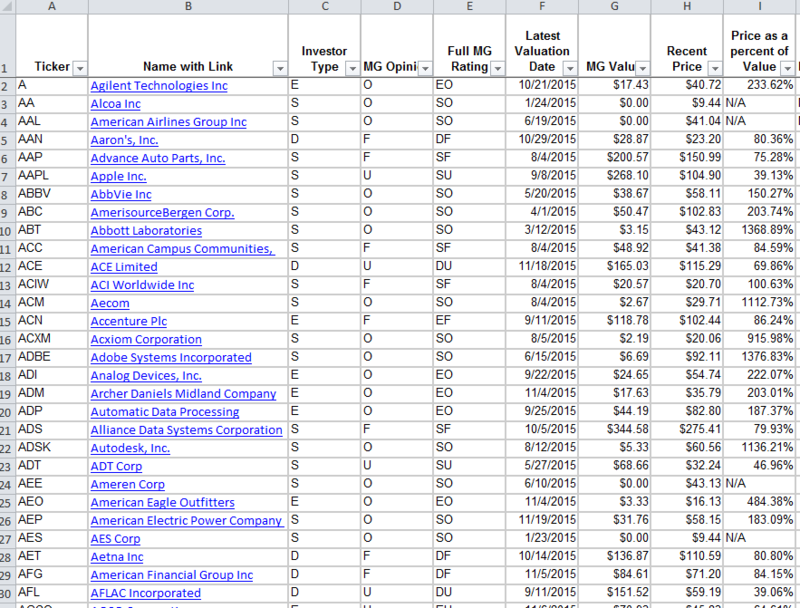 Enter tickers of companies covered by ModernGraham to generate an easy to read summary of those company valuations. 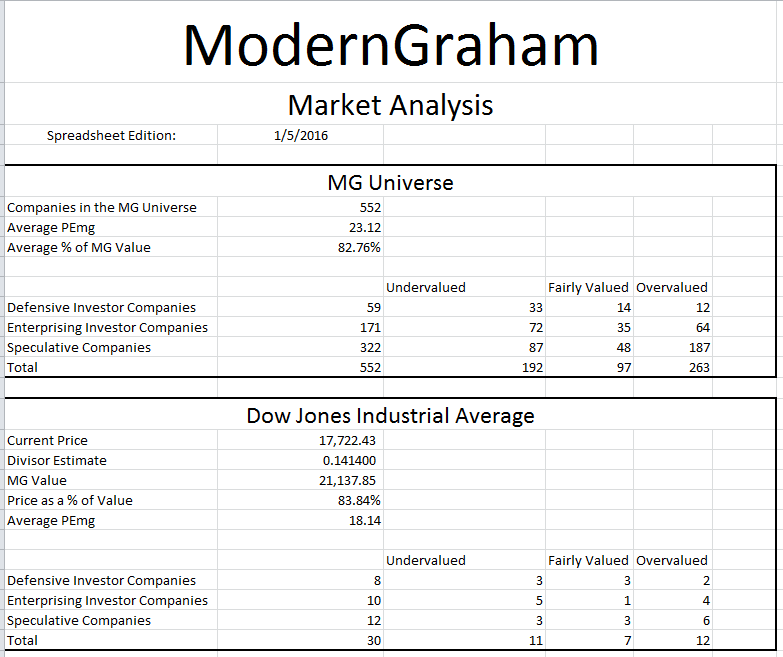 See the key details of every individual valuation by ModernGraham. The spreadsheet also includes sheets showing only the latest company valuations, the Dow Jones Industrial Average components, and the S&P 500 components. If a company is not covered by ModernGraham, you now have the opportunity to input financial data and generate a ModernGraham valuation on your own. All you need is basic balance sheet figures, and Earnings Per Share data, and let the spreadsheet do the rest! *Note – this part of the spreadsheet “expires” weekly, in order to require you to verify your continued membership by downloading a new version of the spreadsheet. 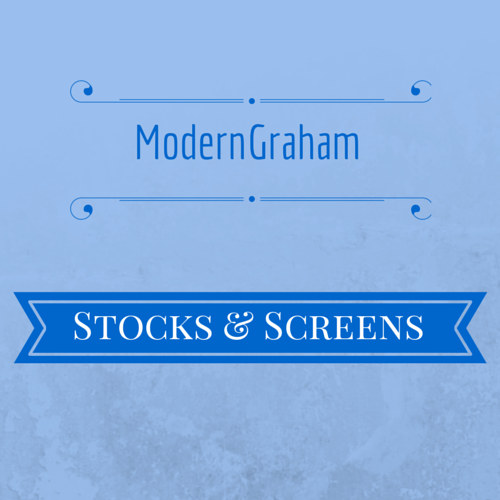 Also included in premium membership: Access to all individual ModernGraham valuations! With a premium membership, you can access every ModernGraham valuation of about 540 companies. The ModernGraham approach is three-fold, and the new design will highlight that fact. This will enable you to conduct your research as efficiently as possible. Stage 1 looks to determine if the company is suitable for either the Defensive Investor or the Enterprising Investor; Stage 2 presents ModernGraham’s calculation of intrinsic value and gives some brief comments; and, Stage 3 provides some data to assist with your further research. There are two tiers of premium membership, each with different billing options. Basic Membership – Stocks & Screens only! Monthly Recurring – $7.99 – 20% off a single month’s price! Annual Recurring – $74.99 – 22% off the monthly recurring price! Advanced Membership – Stocks & Screens, the A-List Report, and the Enhanced Valuation Spreadsheet! Monthly Recurring – $19.99 – 33% off a single month’s price! Annual Recurring – $159.99 – 33% off a recurring monthly subscription!